Start your Advanced Online practice here. Want to work on your vocabulary? Take a look at the Vocabulary Tab for advice on reviewing and recycling what you've done in class. Remember, it's more important to use the words than simply learn them. Interacting with another student before or after class is one way to try to activate new language. Make sure you have good clear records in your notebook. Doing some Writing Exam homework? Use the Exam A-Z column on the left or you can search by task type. We suggest look at one post only for each homework you do - don't try to use them all at the same time! Linking Words and Formal Writing are good for reviewing things you can use in various exercises. Want to practice Use of English? Want to review the Speaking Test? There's a whole minisite of material here. Click on the Listening Tab above for a selection of activities. Follow this link for detailed advice on the listening test. A whole page guiding you through the Advanced listening. 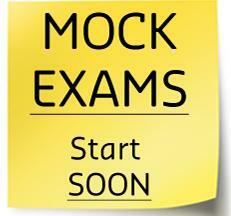 Lots of advice for the Reading Exam can be found here. We've created a walkthrough of a method to answer Part 6 of the Reading & Use of English test. Want to see how you're doing?